It is a great honor for me to succeed Jim Adelstein as the next President of the Bert L and N Kuggie Vallee Foundation. As the first President elected after the death of our founders, Jim successfully transitioned the Foundation to what it is today. Under his leadership, the Vallee Visiting Professorship program has expanded, new programs have been put in place to support deserving young investigators, and post-docs have been sponsored at the annual Lindau meetings of Nobel laureates. Now, Jim and our Executive Director are taking the lead in formulating an award to specifically honor Kuggie’s contributions to women in science. The Vallee Visiting Professorships represent the core program of the Foundation that was originally conceived by the Vallees to support short sabbaticals to enable collaborations and promote collegiality among scientists. Click here to see an example of just how successful this program is. The five new VVPs named each year become part of the Foundation's network of biomedical scientists. During the next year I will begin to explore ways to keep this network of exceptional scientists even more engaged in meaningful ways with the Foundation. 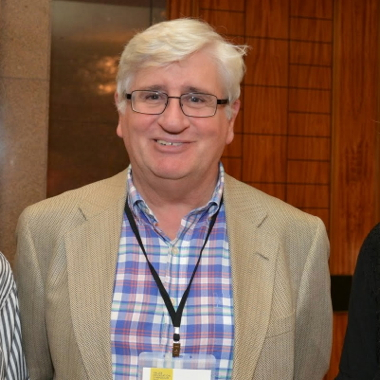 This summer’s meeting, organized by Gordon Hammes and Stephen Benkovic, provided an opportunity for some of the Young Investigator Awardee’s to make presentations that highlighted their research interests and accomplishments. The meeting began with a keynote lecture by VVP Susan Lindquist entitled “From Yeast to Human Stem Cells: A Powerful Discovery Platform for Combating Neurodegenerative Diseases” followed by talks from five of the 2013 and 2014 YIAs. (A report on the meeting can be found by clicking here.) The outstanding science presented was supported by the Foundation and provided strong validation for our YIA program. I am particularly grateful to Steve Benkovic, Bonnie Bassler, Barbara Baird and Ron Vale for evaluating the 2015 nominations for the YIAs. Based on their recommendations, three new YIAs were chosen and are listed on this website. Alexa Mason continues superbly as our Executive Director. She herself has transitioned from Florence to Boston, and has moved the Foundation office from the Longwood area to downtown Boylston Street. She is busy organizing the 2016 biennial scientific meeting that will be held in Rapallo, Italy (June 17-20). Gordon Hammes, Ernst Winnacker, Jesper Haggstrom and I are working on a program that will feature talks from VVPs and YIAs who have not previously presented at a Foundation meeting. In a tradition that Bert and Kuggee Vallee would approve, both outstanding science and gastronomy will be featured at the meeting. Updates on the meeting and its program will be available on this website. This next year will have challenges for the Foundation as it continues to evaluate its programs and consider new ones. As I write this letter, the stock market is in the midst of what we hope will only be a correction. Much of the work of the Foundation has been accomplished by the voluntary efforts of members of the Board of Directors and former Vallee Visiting Professors, most of whom were friends of Bert and Kuggie. With the passing of time, the Foundation will necessarily move on and will need to identify like-minded individuals who will not have known the Vallees but who share their vision for the Foundation. I believe that Bert and Kuggie would be delighted to see how the Vallee Foundation is prospering in its support of outstanding biomedical science and in the fostering of collegiality among its associates. I am grateful to this group for their many and varied contributions.